This last week I posted a short video clip of the Amigurumi Single Crochet Decrease. Also known as the Invisible Decrease. This quick tip can improve your crochet work with a cleaner and smoother single crochet decrease. 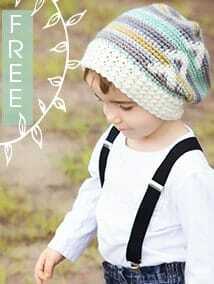 This can be used on all sorts of project, especially crochet dolls, toys, and hats. On the back side of the crochet piece there will be two unworked back post bars, but it’s not any more noticeable than a regular single crochet decrease. So watch this clip! Try it out and let us know what you think. Insert hook into the front loop of the second stitch. Yarn Over and draw through the first two loops on your hook. Yarn Over and draw through both loops on your hook.